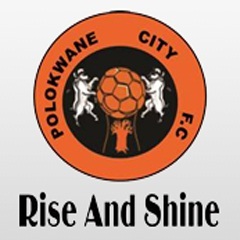 Cape Town - Polokwane City claimed a 3-1 come-from-behind victory over relegation strugglers Black Leopards in a Limpopo derby played at Peter Mokaba Stadium on Sunday afternoon. Rise and Shine move in to fifth place with the victory, only four points behind leaders Orlando Pirates, having played the same number of games. Meanwhile, Leopards are in 12th position on the standings but sit only a point above the relegation zone. Leopards had the first decent opportunity of the game. Lefa Hlongwane was played through down the right-hand side and went for goal from a tight angle but his effort was well saved by the legs of City goalkeeper George Chigova. Soon after, Leopards came close again and it was Hlongwane again as his glancing header from a well-delivered corner went inches wide of the far post. City began to see a bit more of the ball after a couple of early scares. Jabulani Maluleke found space on the overlap down the right-hand side and hit a sweetly-struck volley which grazed the crossbar in the 12th minute. Lefa Hlongwane was having a good game for Leopards and his clever back-heel looked to have released Mwape Musonda through on goal but he was not quick enough off the mark in getting to the ball with Chigova gobbling up possession. In the 20th minute, City striker Mohammed Anas had an opportunity to get his shot away from a promising position but he took one touch too many. Soon after, Musonda headed narrowly over for the visitors from a Marks Munyai delivery. Leopards took the lead in the 26th minute. Lefa Hlongwane whipped in a dangerous cross from the left-hand side which was expertly headed down in to the bottom left-hand corner by Musonda with Chigova having no chance. The visitors deserved their lead, having dominated possession and territory and playing the better football of the two sides. In the 33rd minute, Jean Munganga ran on to an excellent through ball from goalkeeper King Ndlovu, but his attempted chip of Chigova, who was off his line, sailed a couple of metres over the crossbar. The hosts almost got back on level terms in the 38th minute. Bongile Booi did well to evade his marker and cut the ball back across the box but Anas missed the target when he should have scored. Soon after, Salulani Phiri's blistering long-range effort went a whisker wide of the right-hand upright. City swung the momentum of the game back in their favour in the latter stages of the first-half and were rewarded with an equalizer on the stroke of half-time. Booi played the ball in to the feet of Puleng Tlolane, who opened up his body and curled the ball brilliantly in to the top left-hand corner past the outstretched fingertips of the diving Ndlovu. Five minutes after the break, Leopards were caught napping by a quickly-taken City free-kick as Booi played in Mpho Mvelase, whose snapshot sneaked in to the bottom right-hand corner for a 2-1 lead. Soon after, Josef Vukuzic's side almost had a third. Anas's strike was parried away by Ndlovu and Booi's follow-up header came back off the upright. Although Wise and Shine had dominated the second half, conceding seemed to spring Lidoda Duvha in to life. In the 58th minute, Musonda's attempted shot deflected kindly in to the path of Joseph Mhlongo, whose volley hit the side netting with the keeper beaten. Leopards were searching for an equalizer while the hosts seemed to content to sit back and absorb the pressure. Musonda and Karabo Tshepe blazed efforts over the bar in quick succession, sending out a warning to City. In the 70th minute, Dylan Kerr's side came within inches of finding an equalizer when Lefa Hlongwane's curling free-kick came back off the crossbar when it looked destined for the top left-hand corner. But the hosts scored their third against the run of play with ten minutes to go. With Leopards pushing men forward in search of an equalizer, Rise and Shine sprung the counter-attack, with Anas playing in Maluleke before the latter returned the favour, playing the ball back to Anas, who had a simple tap-in in to an empty net to seal the three points.